World Soccer Runner released for Android and IOS! 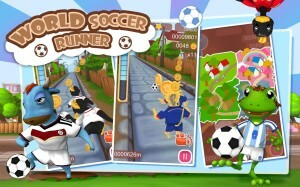 – Sumo Games — Developer and publisher of mobile games. 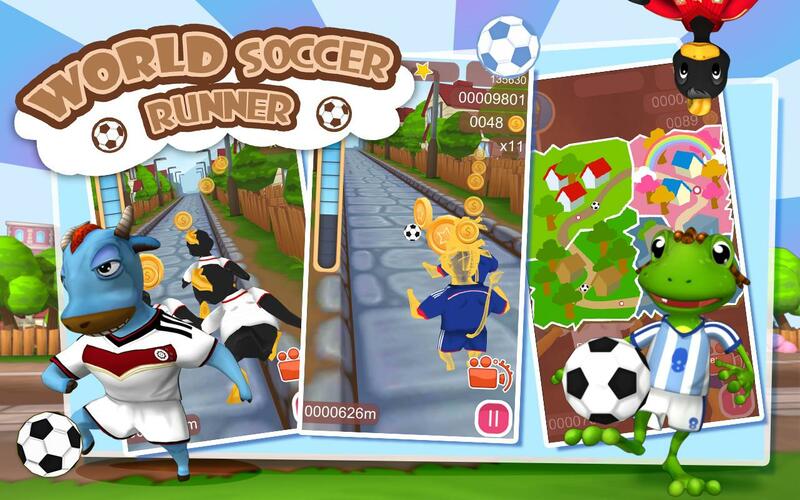 Sumo Games proudly presents its hottest, action-packed running game that is sure to provide tons of fun! 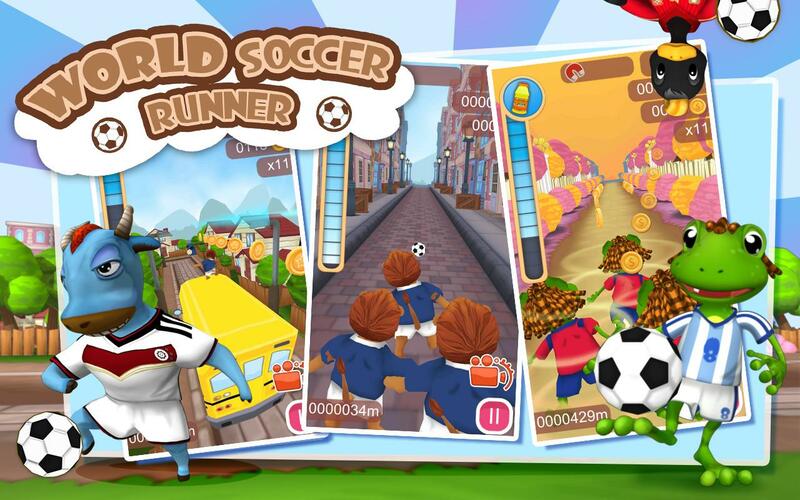 Make a mad dash while avoiding crazy obstacles and answering map trivia along the way in World Soccer Runner, available for Android and the IOS! World Soccer Runner is an endless running game that is designed to put your skills, reflexes, and knowledge of countries and flags to the test. 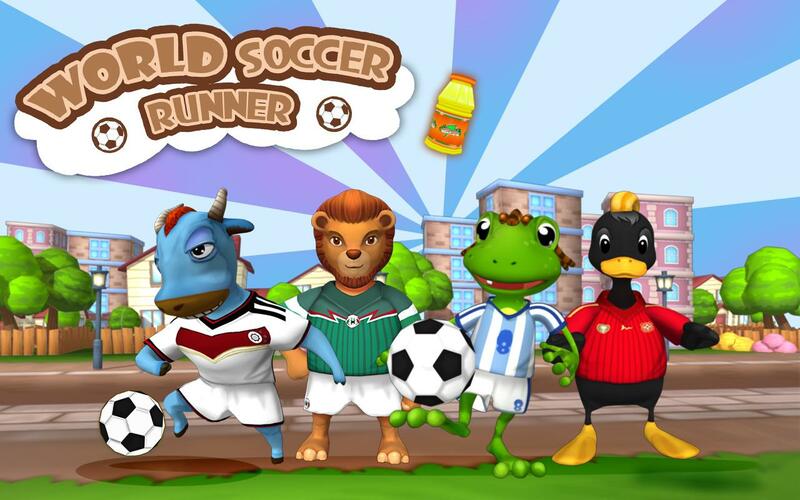 You get to play a team of cute and athletic animal pals— Arno Armadillo, Brock Bull, Rory Lion, Webley Duck, and Fritz Frog—who are just more than eager to show off their running and soccer skills. From time to time, Geography questions pop up, and you have to choose the correct answer to win extra lives! Jump, slide, and glide around obstacles, and grab coins to spend on powerful upgrades. When the going gets tough, pick up special power-ups to give you an edge and help you last longer! 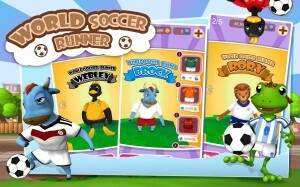 Hone your reflexes and sharpen your knowledge in different national flags in the world in World Soccer Runner! Download it for FREE!